Cornstarch! 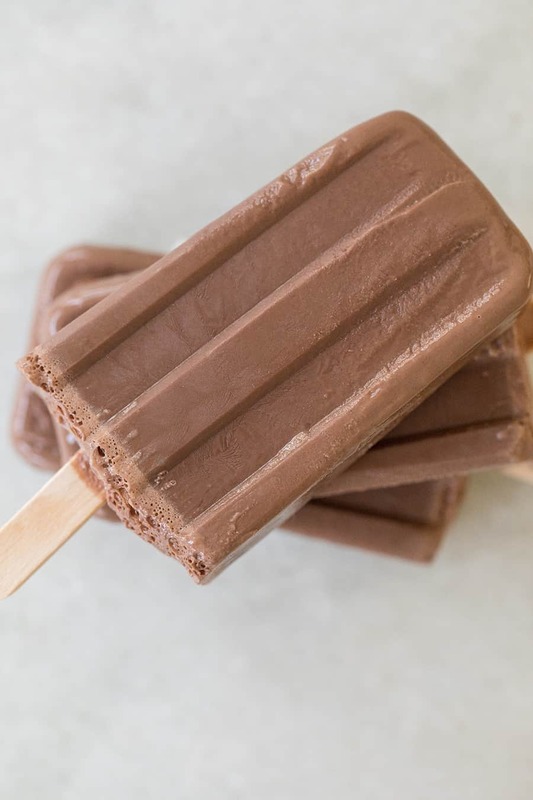 It’s the secret ingredient to keeping the popsicles creamy and not icy. It’s what gives it that soft, creamy texture when you bite into it. You would think since it has heavy cream and whole milk that would be good enough, but those can tend to freeze over icy. So the cornstarch helps keep them creamy! I use it in my ice cream recipes too, like this raspberry cheesecake swirl. I use these popsicle molds to make the popsicles. 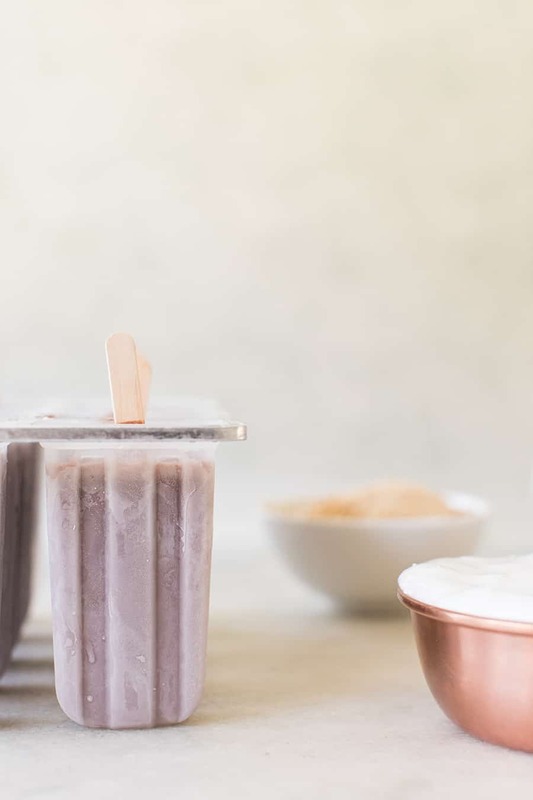 We’ve also made roasted blueberry creme fraiche, honey lemonade popsicles, white chocolate cold brew popsicles and coconut water popsicles! 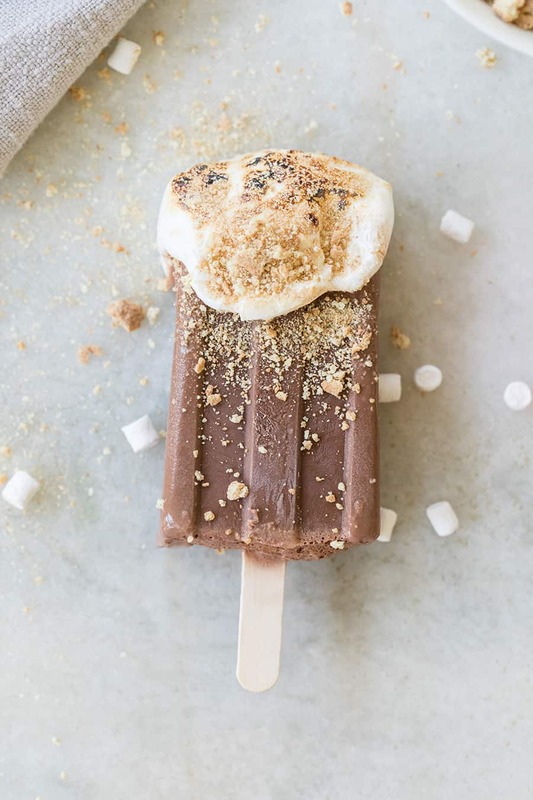 You can turn them into S’mores, which might be the best dessert on the planet! 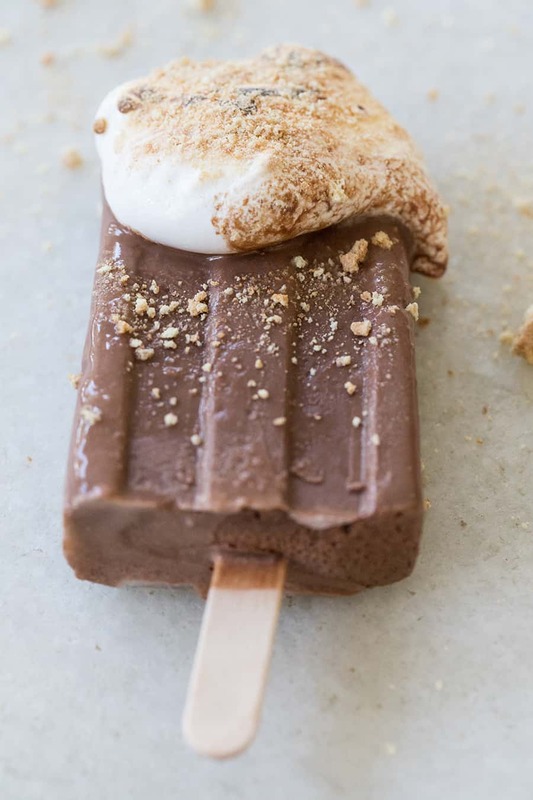 I topped them with marshmallow fluff and then torched it and added graham crackers. I can’t even tell you how good it is! The fluff doesn’t stay on well, so this is something you do and eat right away. 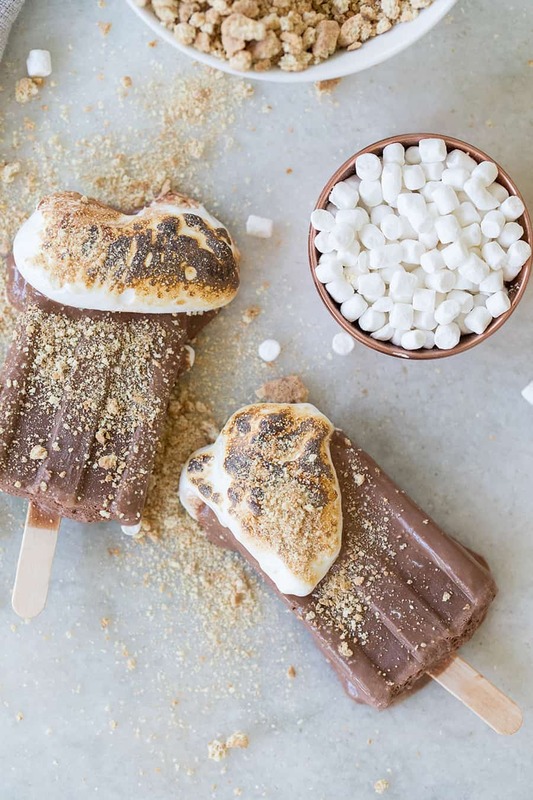 You can also dip the pops in melted white chocolate, that has been cooled a little, and then add mini-marshmallows and graham crackers to them as well. I demonstrated this on Home & Family TV! In a small sauce pan, add the corn starch and ½ cup whole milk and simmer until corn starch is melted. Stir while it’s simmering. Add in the other half of the whole milk, 1¼ cup heavy cream, sugar, cocoa powder and salt and bring to a soft boil while whisking until everything is combined and sugar is melted. About 1 minute. Remove the mixture from the heat and transfer to large measuring cup with spout. 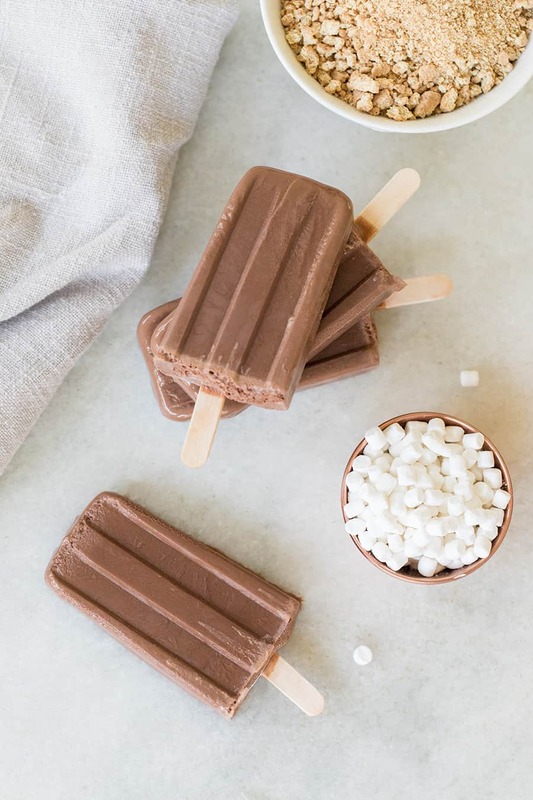 Pour into popsicles molds and add in the sticks. Remove from molds by running warm water on the bottom. Dip in to marshmallow fluff and add crushed graham crackers on top. You can also torch the marshmallow fluff too!